**MAZDA CERTIFIED!! 7 YEAR/100K WARRANTY**BUY WITH PEACE OF MIND! !, 1 OWNER**CLEAN CARFAX**, **BLUETOOTH**. Odometer is 45205 miles below market average! 30/41 City/Highway MPG Awards: * 2014 KBB.com 10 Tech-Savviest Cars Under $20,000 * 2014 KBB.com 10 Coolest New Cars Under $18,000 * 2014 KBB.com 5-Year Cost to Own Awards CARFAX One-Owner. Meet all your Financing needs here at Headquarter Mazda! We are conveniently located just a few minutes West of Downtown Orlando, just off the Florida Turnpike between Winter Garden and Clermont! It's one of the easiest drive in Central Florida! Remember: "GET THE MAZDA SPIRIT" here at Headquarter Mazda! So take the easy drive from almost anywhere in Central Florida to visit us or just call one of our Professional Inventory Specialist for more information and schedule a VIP appointment. **MAZDA CERTIFIED!! 7 YEAR/100K WARRANTY**BUY WITH PEACE OF MIND! !, 1 OWNER**CLEAN CARFAX**, **BACK UP CAMERA**, **BLUETOOTH**. 29/34 City/Highway MPG CARFAX One-Owner. Meet all your Financing needs here at Headquarter Mazda! We are conveniently located just a few minutes West of Downtown Orlando, just off the Florida Turnpike between Winter Garden and Clermont! It's one of the easiest drive in Central Florida! Remember: "GET THE MAZDA SPIRIT" here at Headquarter Mazda! So take the easy drive from almost anywhere in Central Florida to visit us or just call one of our Professional Inventory Specialist for more information and schedule a VIP appointment. **MAZDA CERTIFIED!! 7 YEAR/100K WARRANTY**BUY WITH PEACE OF MIND! !, 1 OWNER, **BACK UP CAMERA**, **BLUETOOTH**. 25/32 City/Highway MPG Awards: * 2015 IIHS Top Safety Pick+ * 2015 KBB.com Brand Image Awards We are conveniently located just a few minutes West of Downtown Orlando, just off the Florida Turnpike between Winter Garden and Clermont! It's one of the easiest drive in Central Florida! Remember: "GET THE MAZDA SPIRIT" here at Headquarter Mazda! So take the easy drive from almost anywhere in Central Florida to visit us or just call one of our Professional Inventory Specialist for more information and schedule a VIP appointment. **MAZDA CERTIFIED!! 7 YEAR/100K WARRANTY**BUY WITH PEACE OF MIND! !, **BACK UP CAMERA**, **BLUETOOTH**. 26/33 City/Highway MPG CARFAX One-Owner. Meet all your Financing needs here at Headquarter Mazda! We are conveniently located just a few minutes West of Downtown Orlando, just off the Florida Turnpike between Winter Garden and Clermont! It's one of the easiest drive in Central Florida! Remember: "GET THE MAZDA SPIRIT" here at Headquarter Mazda! So take the easy drive from almost anywhere in Central Florida to visit us or just call one of our Professional Inventory Specialist for more information and schedule a VIP appointment. **MAZDA CERTIFIED!! 7 YEAR/100K WARRANTY**BUY WITH PEACE OF MIND! !, 1 OWNER**CLEAN CARFAX**, **BACK UP CAMERA**, **BLUETOOTH**, **LEATHER**. Odometer is 49140 miles below market average! Awards: * 2015 KBB.com Brand Image Awards CARFAX One-Owner. Meet all your Financing needs here at Headquarter Mazda! New Price! 43825 We are conveniently located just a few minutes West of Downtown Orlando, just off the Florida Turnpike between Winter Garden and Clermont! It's one of the easiest drive in Central Florida! Remember: "GET THE MAZDA SPIRIT" here at Headquarter Mazda! So take the easy drive from almost anywhere in Central Florida to visit us or just call one of our Professional Inventory Specialist for more information and schedule a VIP appointment. **MAZDA CERTIFIED!! 7 YEAR/100K WARRANTY**BUY WITH PEACE OF MIND! !, 1 OWNER**CLEAN CARFAX**, **BACK UP CAMERA**, **BLUETOOTH**, **LEATHER**, **NAVIGATION**. 27/36 City/Highway MPG CARFAX One-Owner. Meet all your Financing needs here at Headquarter Mazda! We are conveniently located just a few minutes West of Downtown Orlando, just off the Florida Turnpike between Winter Garden and Clermont! It's one of the easiest drive in Central Florida! Remember: "GET THE MAZDA SPIRIT" here at Headquarter Mazda! So take the easy drive from almost anywhere in Central Florida to visit us or just call one of our Professional Inventory Specialist for more information and schedule a VIP appointment. **MAZDA CERTIFIED!! 7 YEAR/100K WARRANTY**BUY WITH PEACE OF MIND! !, 1 OWNER**CLEAN CARFAX**, **BACK UP CAMERA**, **BLUETOOTH**. 24/30 City/Highway MPG CARFAX One-Owner. 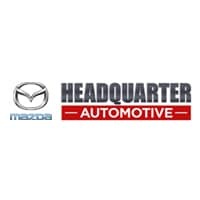 Meet all your Financing needs here at Headquarter Mazda! We are conveniently located just a few minutes West of Downtown Orlando, just off the Florida Turnpike between Winter Garden and Clermont! It's one of the easiest drive in Central Florida! Remember: "GET THE MAZDA SPIRIT" here at Headquarter Mazda! So take the easy drive from almost anywhere in Central Florida to visit us or just call one of our Professional Inventory Specialist for more information and schedule a VIP appointment. **MAZDA CERTIFIED!! 7 YEAR/100K WARRANTY**BUY WITH PEACE OF MIND! !, 1 OWNER**CLEAN CARFAX**, **BACK UP CAMERA**, **BLUETOOTH**, **LEATHER**, **NAVIGATION**. Awards: * 2017 KBB.com Brand Image Awards Meet all your Financing needs here at Headquarter Mazda! We are conveniently located just a few minutes West of Downtown Orlando, just off the Florida Turnpike between Winter Garden and Clermont! It's one of the easiest drive in Central Florida! Remember: "GET THE MAZDA SPIRIT" here at Headquarter Mazda! So take the easy drive from almost anywhere in Central Florida to visit us or just call one of our Professional Inventory Specialist for more information and schedule a VIP appointment. **MAZDA CERTIFIED!! 7 YEAR/100K WARRANTY**BUY WITH PEACE OF MIND! !, 1 OWNER**CLEAN CARFAX**, **BACK UP CAMERA**, **BLUETOOTH**, **LEATHER**, **NAVIGATION**. Awards: * 2017 KBB.com Brand Image Awards CARFAX One-Owner. Meet all your Financing needs here at Headquarter Mazda! We are conveniently located just a few minutes West of Downtown Orlando, just off the Florida Turnpike between Winter Garden and Clermont! It's one of the easiest drive in Central Florida! Remember: "GET THE MAZDA SPIRIT" here at Headquarter Mazda! So take the easy drive from almost anywhere in Central Florida to visit us or just call one of our Professional Inventory Specialist for more information and schedule a VIP appointment. 1 OWNER**CLEAN CARFAX**, **BACK UP CAMERA**, **BLUETOOTH**, **LEATHER**, **NAVIGATION**. 24/31 City/Highway MPG Awards: * 2017 KBB.com Brand Image Awards CARFAX One-Owner. Meet all your Financing needs here at Headquarter Mazda! We are conveniently located just a few minutes West of Downtown Orlando, just off the Florida Turnpike between Winter Garden and Clermont! It's one of the easiest drive in Central Florida! Remember: "GET THE MAZDA SPIRIT" here at Headquarter Mazda! So take the easy drive from almost anywhere in Central Florida to visit us or just call one of our Professional Inventory Specialist for more information and schedule a VIP appointment. **MAZDA CERTIFIED!! 7 YEAR/100K WARRANTY**BUY WITH PEACE OF MIND! !, 1 OWNER**CLEAN CARFAX**, **BACK UP CAMERA**, **BLUETOOTH**, **NAVIGATION**. 25/31 City/Highway MPG Meet all your Financing needs here at Headquarter Mazda! We are conveniently located just a few minutes West of Downtown Orlando, just off the Florida Turnpike between Winter Garden and Clermont! It's one of the easiest drive in Central Florida! Remember: "GET THE MAZDA SPIRIT" here at Headquarter Mazda! So take the easy drive from almost anywhere in Central Florida to visit us or just call one of our Professional Inventory Specialist for more information and schedule a VIP appointment.